Human excreta derived fertilisers (HEDF) help replenish soil organic matter and nutrients but barriers exist to their wide-scale use. 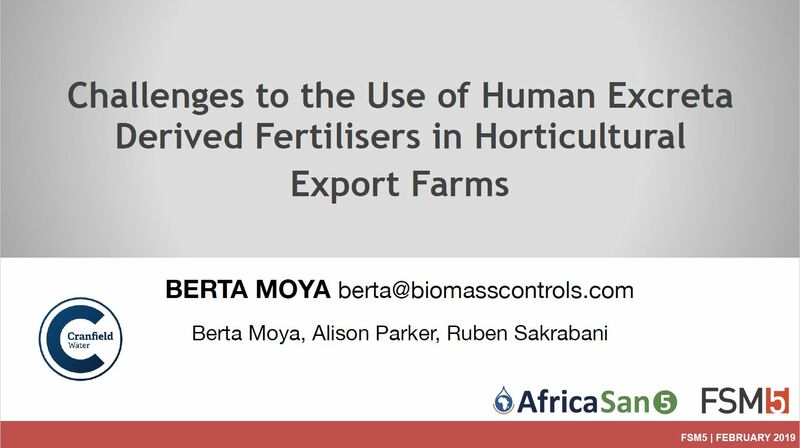 A case study on the acceptability of HEDF for producing crops for export in Kenya is presented here. Farming certification schemes are unclear on the use of products derived from human excreta on farms. Farmers must abide to these schemes to enter the export market and are therefore unwilling to use HEDF. Analyses on soils treated with HEDF showed no evidence of contamination after HEDF application. An assurance scheme specific to HEDF could help increase trust and acceptance of these fertilisers.